When it comes to outfielders in the MLB, most have arms that would amaze the average Joe. However, some have arms that amaze even fellow professional ball players, and one player that can be added to that list is Athletics OF Ramon Laureano. 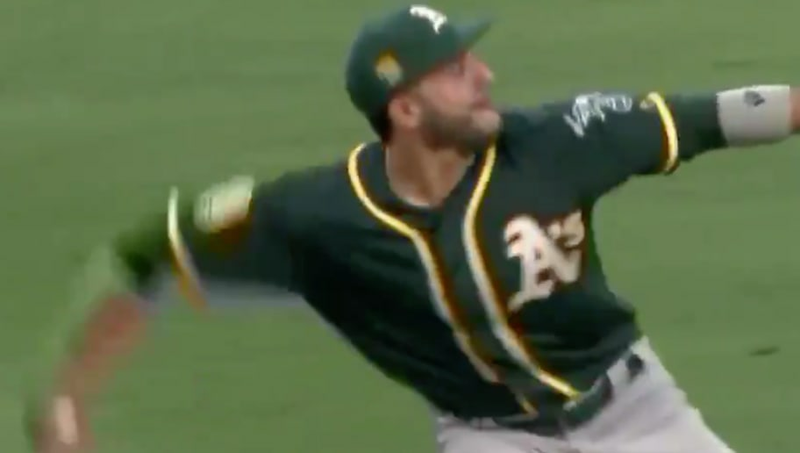 In Saturday evening's matchup against the Los Angeles ​Angels, Laureano fired out a runner from the centerfield warning track, who was attempting to get back to first after not being able to tag up. This is amazing. The man has an absolute cannon. This may be the throw of the year. Actually, it is, no doubt. This effort by the young outfielder has been a sign of the times regarding the Athletics, with the team on track for a possible playoff appearance come this October due to their fantastic play of late. Just an unreal moment for the OF and Oakland as a whole.